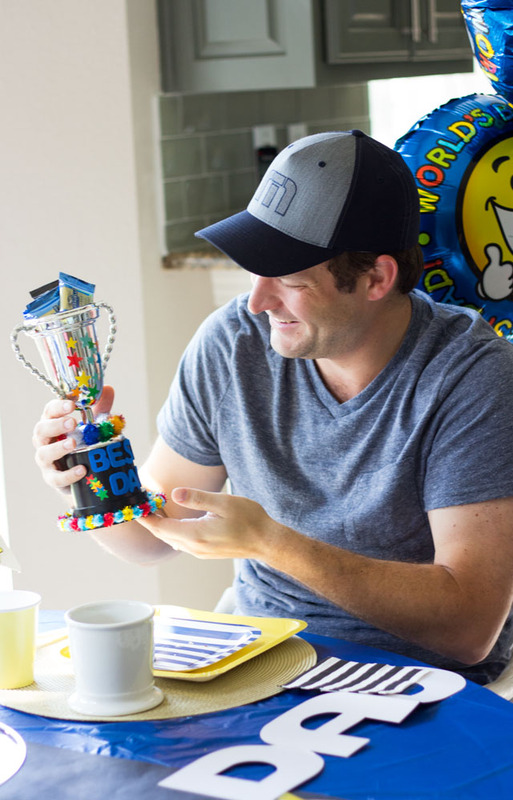 Father’s Day came early for Ross this year! 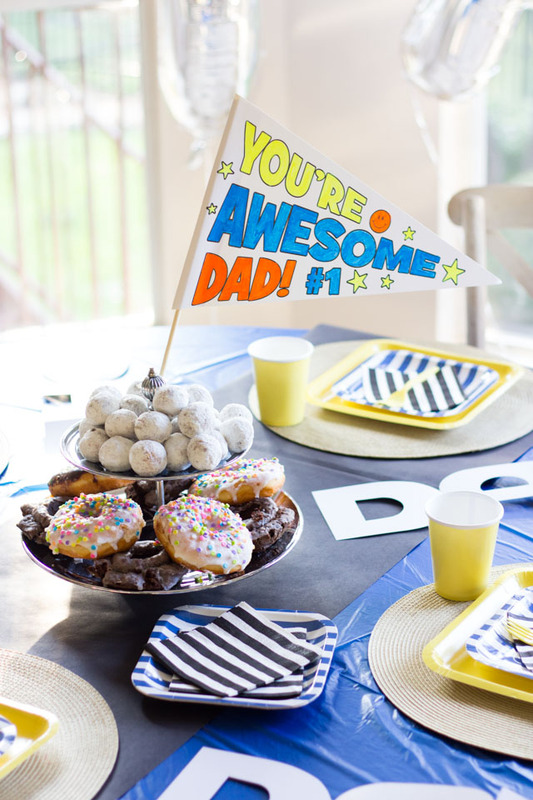 A couple weekends ago we let him sleep in while we while Stella, Hazel and I got busy decorating the kitchen for a Dad is Rad party complete with giant DAD balloons, a donut tower centerpiece, and lots of special decorations that the girls had made themselves including this Best Dad trophy. Needless to say, Ross was very surprised when he woke up! 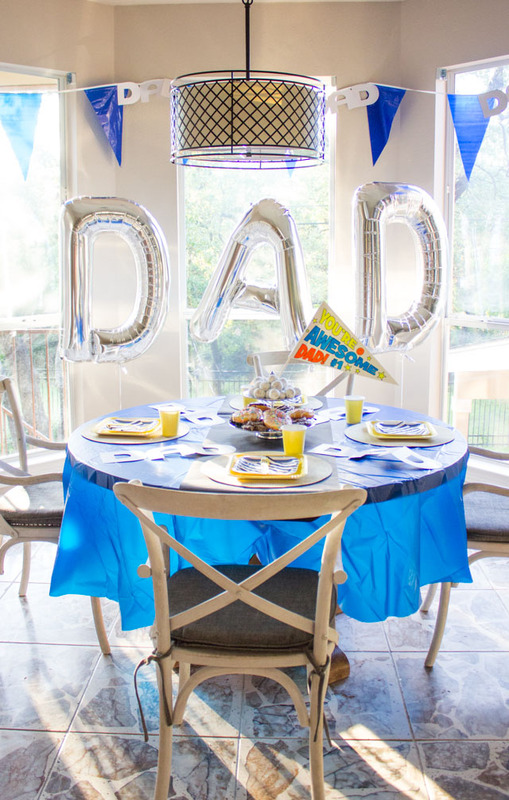 Read on to see my latest party project for Oriental Trading with lots of ideas for celebrating your dad with a special Father’s Day party. 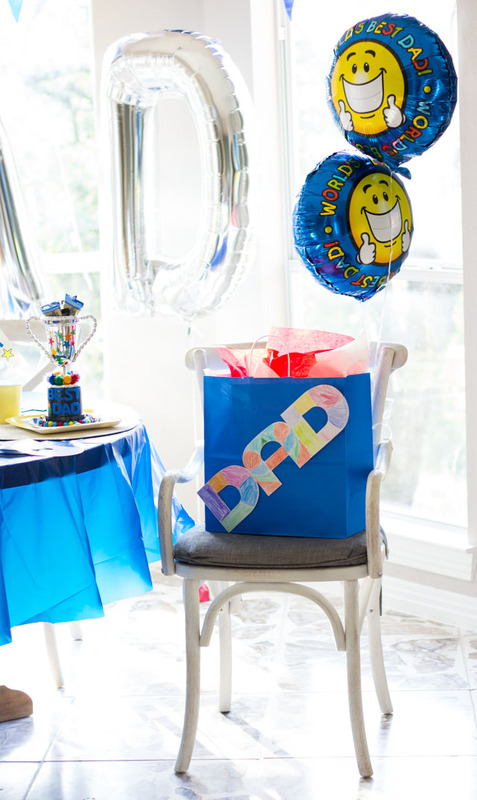 Our kitchen table area became dad central with DAD balloons, garland, and pennant flags! 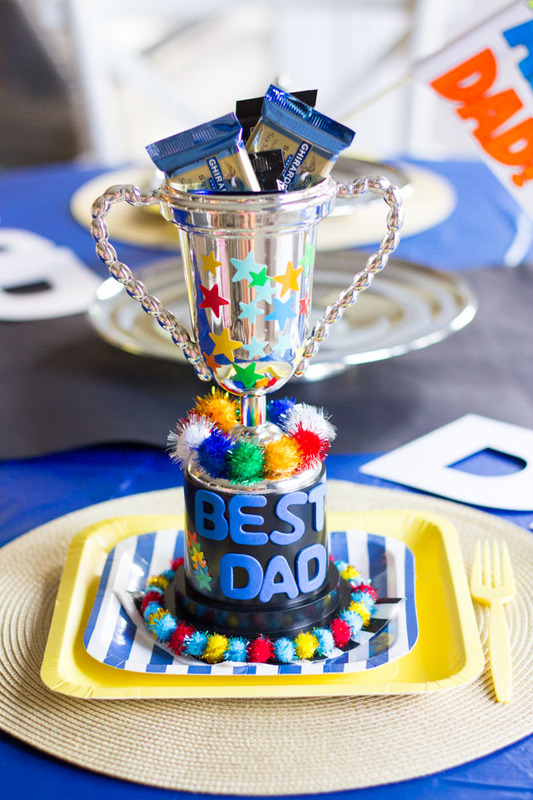 We left this special Best Dad trophy filled with chocolates at his spot at the table! 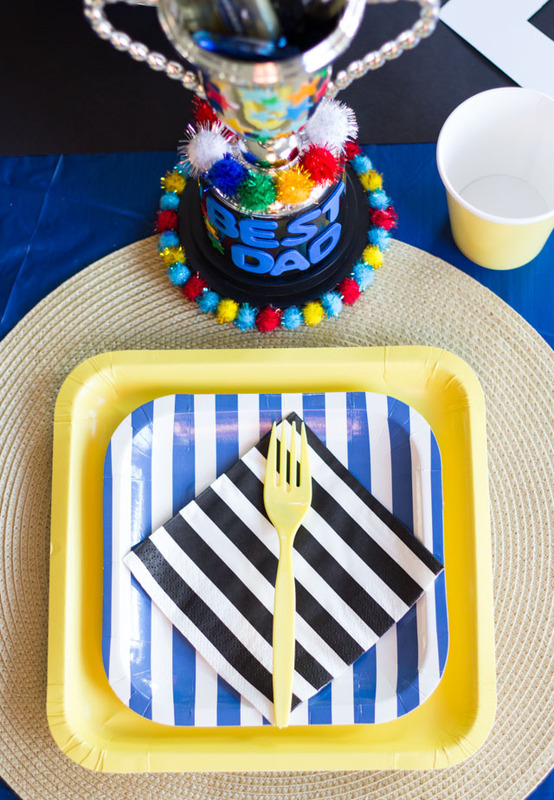 We went for a dad-approved color palette of black, blue, and yellow stripes and stuck with disposable tableware to keep clean-up easy. 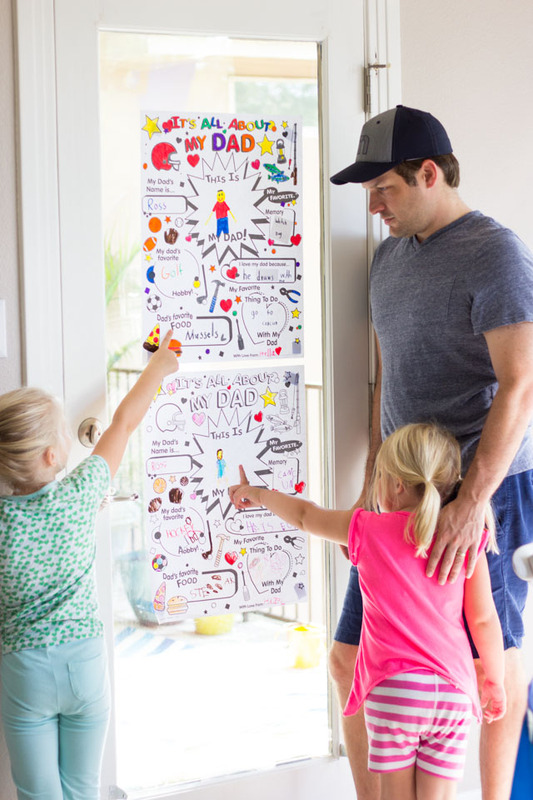 Stella and Hazel worked so hard on these posters for Ross earlier in the week and were so excited to show him all the things they love about their daddy! 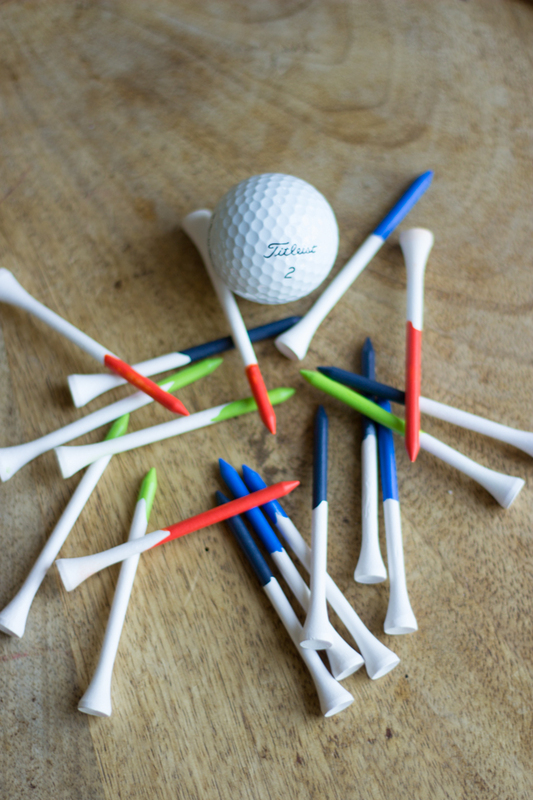 We had a couple other surprises in store for Ross – head to Oriental Trading to see more! 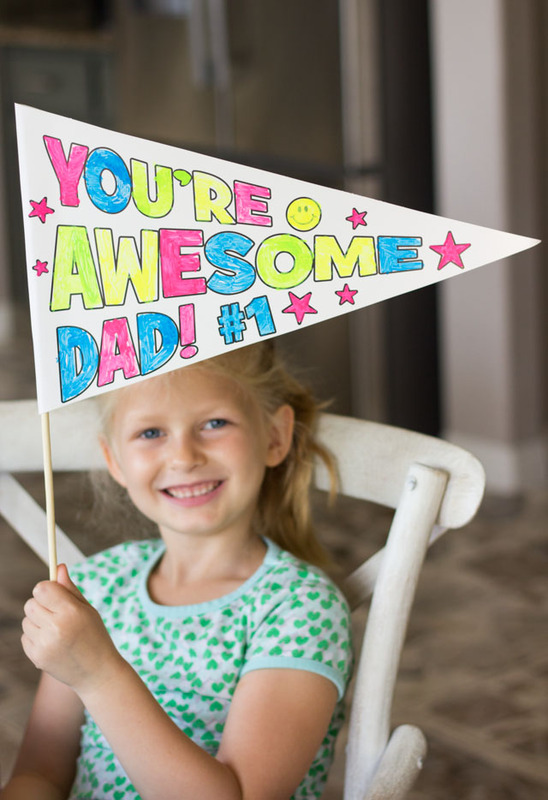 Head to Oriental Trading’s blog for a full list of supplies and step-by-step tutorials for the donut tower, Best Dad trophy, and DIY travel mugs for a fun Father’s Day gift idea!